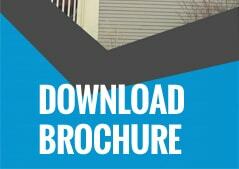 If you are looking to improve the value of your home, then there are countless choices out there. From remodeling the interior of your home to converting previously unused space into rooms, there is a wide range of choices that depend on what your home is like. One choice that works with almost every home is replacing your windows. In the greater Darien IL area, the vast majority of homes still have windows that are at least 10 years old. This means a significant potential for new vinyl windows that can dramatically increase the value of your home. Vinyl windows offer a number of cost cutting and practical solutions to more traditional windows. Eliminating the chance of termites or condensation from forming, vinyl windows are incredibly easy to clean and fantastic at keeping out sounds from outside. Their insulating properties as well make them perfect for keeping your home warm in the winter and cool in the summer. Seen as an investment in your home, vinyl windows can add to the overall desirability and price of your home when you go to sell. 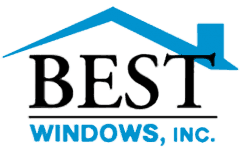 Having worked towards a fantastic relationship with the greater Darien area, we here at Better Windows Inc. pride ourselves on the quality of our product and our professional manner. With an extensive history installing vinyl windows and patio doors, we understand how much of a hassle this process can be. That is why we will work with you to create a hassle free environment where you can make informed choices without feeling rushed by high pressure sales tactics. If you do decide to go with our windows and our service, then you will experience the best service around. With four consecutive years of receiving the Super Service Award from Angies List, Lead-Safe Certification, Kensington High Performance Windows Dealer of the Month, and BBB Accreditation, you can be sure that we will do the job right. We would be nowhere as a company without the incredible support of our community. Because we know that our company is only as good as our reputation, we will work to make sure every client gets the best prices, the best product, the highest quality service, the best warranty around, and the fastest delivery. Please give us a call at (708) 204-2446 or fill out a form on our website where we will be able to get back to you via e-mail. Thank you for your time. For free inspection, call (708)-204-2446 or visit Best Windows for more information about vinyl window replacement Darien IL.